Is your company working with IEEE-802.15.4 protocol technologies (e.g., ZigBee, ISA 100 Wireless, etc.)? If so, NTS can help you in the testing of your wireless radio (PHY/MAC layers). IEEE-802.215.4 is a standard developed to provide reliable, cost-effective, low-power, wireless networking products. It’s most easily recognized as the physical (PHY) and media access control (MAC) layers for ZigBee, ISA 100 Wireless, WirelessHART, Thread, 6LowPAN, and MiWi specifications. Since all ZigBee products must be based on conformant IEEE-802.15.4 devices, NTS has been authorized by the ZigBee Alliance to qualify 802.15.4 components for use with compliant platforms. 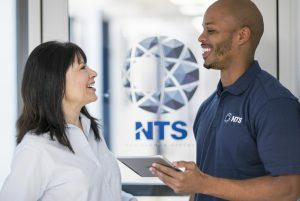 In addition, NTS has experience in the testing of 802.15.4 products for other protocols, including ISA, and both 2.4GHz and Sub-GHz frequencies (e.g., 868MHz for Europe and 900MHz for North America). The test team at NTS has built a Tx/Rx analyzer that enables execution of the ZigBee-based 802.15.4 qualification tests, which is also scriptable to perform testing with other protocols including Thread. All radios that successfully pass the IEEE-802.15.4 test at NTS are recognized by ZigBee Alliance as qualified to be used for implementation in ZigBee platforms and end-devices. Testing can also be performed to the IEEE-802.15.4g standard for smart utility networks. NTS utilizes in-depth analysis of IEEE-802.15.4 transmission during the qualification of devices for certification qualification. Our PHY layer analysis includes the required tests, including as Error Vector Magnitude (EVM), symbol rate, carrier accuracy, etc. Using a Specification Description Language (SDL) model for 802.15.4 protocol that is directly related to Protocol Implementation Compliance Statements (PICS), NTS is able to systematically determine compliance to the protocol standard for your product. A similar development approach was taken for the generation of the MAC tests. 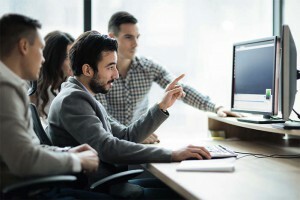 Using Message Sequence Charts (MSCs) produced by the SDL model, NTS engineers have developed a comprehensive MAC suite that verifies framing, timing, sequencing, and all other aspects of the MAC layer. The result of these efforts is a complete turn-key qualification solution for 802.15.4 manufacturers that require qualification of their devices for conformance to the IEEE standard. In addition, NTS performs ZigBee MAC, PHY, ZCP, and profile/application testing, and upon successful completion, delivers the Statements of Qualification (for IEEE-802.15.4) and Compliance (for ZigBee stack) to the ZigBee Alliance who then provide certification after an audit of the test results. We can also verify your products and provide you with complete, validated results to submit for certification/verification for other protocols, including Thread and 6LowPAN. NTS can also help with verification of coexistence, interference, and performance of your wireless product. Contact NTS today to find out how to get your IEEE-802.15.4 device tested!